Amtrak isn't having a hard time getting people to ride in the northeast corridor, but it is having a hard time finding places to put everyone. 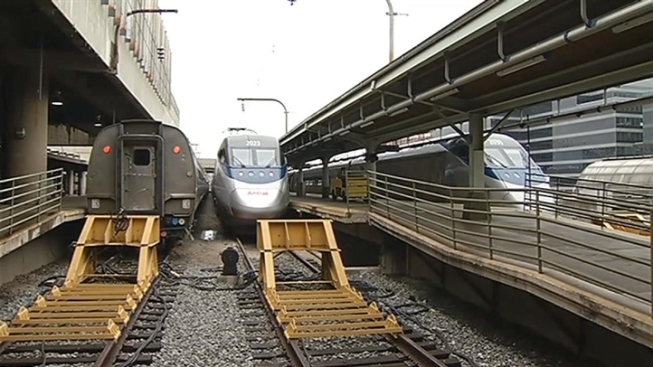 Amtrak says it needs more funding -- and soon -- to add more capacity to its Northeast Corridor line. Fixing and improving the northeast corridor will take lots of funding. So Amtrak is putting out a call for help. "We need to identify this funding source, and it is going to come from a variety of options,” said Christina Leeds of Amtrak. “Principally federally, but also looking at state, region and even private financing." Some of Amtrak's electrical equipment is about 100 years old. Some rail cars are 30 and 40 years old. A crowding issue at Union Station has nothing to do with trains. It is the second-busiest Amtrak station in the country, behind only New York's Penn Station, and Amtrak has plans to expand the station. Follow Adam Tuss on Twitter at @AdamTuss.